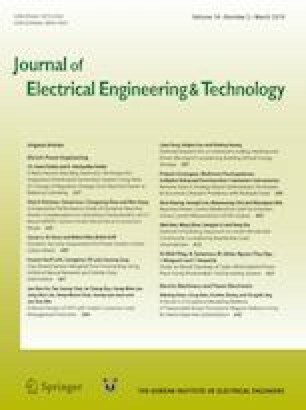 This paper presents a new analytical method for the computation of magnetic field distributions and electromagnetic performances in switched reluctance machines (SRM). The proposed model is sufficiently general to be used with any number of stator slots and rotor poles with electrically excited. Due to the inherent nonlinear characteristics of SRM, the conventional analytic model has a limited accuracy which does not take into account the saturation. In order to calculate the accuracy and consider the local magnetic saturation on the stator and rotor teeth, the proposed method is based on the resolution of 2-D Laplace’s and Poisson’s equations in polar coordinates by the separation of variables technique. The solution region is divided into three types of regular subdomains, viz. air gap, stator slots and rotor slots. Magnetic field distributions, flux linkage, self-inductance, mutual inductance and static electromagnetic torque computed with the proposed analytical method are validated through finite-element method. This work was supported by National Natural Science Foundation of China (Project No. 51707072) and Applied Basic Research Project of Yichang (Project No. A19-402-a03).